This is by no means a surprising outcome, nor is it simply a reflection of so-called right-wing or extremist factions in this Israeli government. It is an explicit articulation of the unconscionable Zionist supremacy ideology on which the Jewish state is founded. Israel now is in control of all historic Palestine. It is armed to the teeth, including with nuclear weapons, because the only way it can “exist” as a Jewish state is by continuing to dispossess, oppress and discriminate against Palestinians — those who are still managing to hold on to their property, pushing them into smaller and smaller enclaves or displacing them within Israel, while keeping six million refugees and exiles out and at the same time bringing in Jewish “settlers” to “colonize” Palestine. Public debate on Israel today is finally opening issues that go to the heart of Israel’s legitimacy, its Zionist ideology and constitution as a Jewish state and, by extension, issues that are central to Palestine’s liberation. Additionally, there is a whole body of international law meant to check and regulate State criminal activity such as that exhibited by Israel, whose violations of such laws make for a long list. And yet, when it comes to the Jewish state, the U.S. and its allies continue to find it impossible to hold Israel accountable on the basis of the laws they themselves have enacted. After WWII, when more and more countries were decolonized (the Jewish colonization of Palestine is the only active colonization remaining in the world today), 80 former colonies joined the UN (see The United Nations and Decolonization), reshaping it. However, the structure of power in the UN works against democratization. As permanent members of the Security Council, China, France, Russian Federation, the United Kingdom, and the United States use the veto power to maintain their foreign policy interests, either singly or collectively, and they control the international order. It used its last veto to block a resolution that would term Israeli settlement activity in Palestinian territory “illegal” and demand a halt to all such actions. The five major powers were granted permanent membership in the UN Security Council after WWII because they were “major powers among victorious allies and predominant actors in international relations. They were active in the negotiations that led to the adoption of the UN Charter which established the organization.” See On what basis was Security Council permanent membership granted?). Since that time, it has been business as usual (i.e. the spoils go to the victors), despite the resounding words of the UN Charter. These countries also significantly contribute financially to the UN system, with the US, as the only superpower, leading the way. To reform this system, you need nothing less than a revolution. It is true that what the UN and its subsidiary agencies (UNDP, UNESCO, UNICEF, UNRWA and UNSCOP, to name a few) have “resolved” and published on Israel/Palestine since the UN General Assembly Resolution on the Partition of Palestine (1947) — the Conciliation, Status of Jerusalem and Right to Return (1948), the Permanent International Regime for Jerusalem (1949), the Security Council resolutions on principles of a just and lasting peace in the Middle East (1967, 1973), etc. — fills volumes. 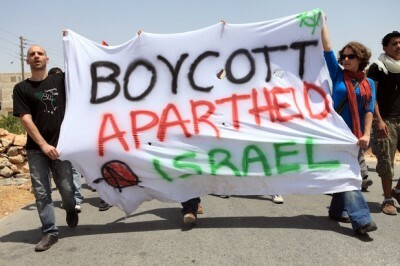 It is more than high time for the UN to take a leaf from the global grassroots movement of Boycott, Divestment and Sanctions (BDS) of Israel and enforce these resolutions and reports through sanctions against Israel.